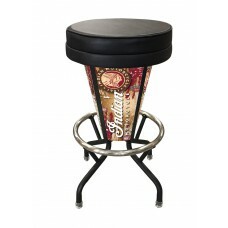 The latest trend on the market is the new L5000 LED bar stool by Holland Bar Stool Company. Officially licensed by Polaris Industries and Indian Motorcycle this attention grabber is rated for indoor and outdoor use. Commercial grade and made in the U.S.A. your sure to have a great time sitting on this bar stool.